Ubuntu operating system is an open source and free software that uses its own environment for desktops. Distribution of this OS is based on Debian Linux. This software is named after Ubuntu which is a philosophy from Southern Africa. The philosophy when translated to English means humanity towards other people. It simply implies the belief of sharing among humanity in the entire world. Currently, online survey indicates that Linux distribution is very popular on laptops and desktops. It is also popular in cloud computing as well as servers. Canonical limited is an UK-based company that leads the development of this software. Ubuntu operating software system is relatively easy to use. It is also fast and it is used in powering laptops, desktop PCs and servers in different parts of the world. Many people who have used this operating system observe that it give them a streamlined and clean experience. They say that this software allows them to do whatever they want with ease. For businesses, this OS is intuitive, lightweight and secure. It can be used for maintaining access to legacy software without the need for paid licenses. It also allow for remote management enabling the IT staffs to do more with the system. 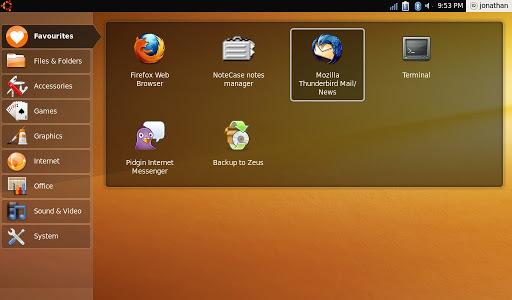 This operating system also allows developers access to a wide range of tools. It also offers them a fast cloud deployment path. Nevertheless, whether you are an individual, a business entrepreneur or a developer, you will need more information on how to get the most from Ubuntu software operating system at some point. You may also need assistance on how to use this OS for your development activities. As such, it is imperative that you seek information that will guide you on how to get the most from this OS. Whether you are building a custom computer, formatting your desktop or developing a new application, you should start by getting reliable information on how to use Ubuntu software operating system in your computer.